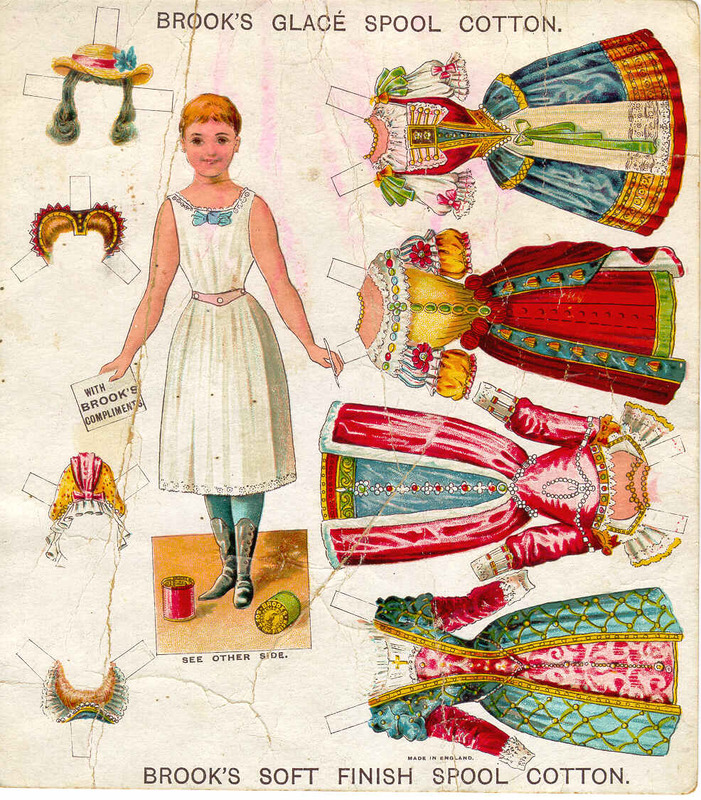 Available now for free download are two 8.5 x 11" digital collage sheets of featuring 12 individual ACEO/ATC sized illustrations of the classic holiday poem "A Visit from St. Nicholas". The file downloads in a much high resolution than the placeholder image here.This edition of the poem originally came as a fold out style pamphlet that was published in 1864 by L. Prang of Boston. Free Digital Collage Sheet - "Vintage Wall Street"
Free Holiday Music Download For You! Mahalia Jackson "Silent Night (46bliss Remix)" (mp3)from "Holiday Chill - The Christmas Remixes" (Christmas Chill) Buy at Amazon MP3 More On This AlbumMy gift to you of music to download is this rendition of Mahalia Jackson's "Silent Night" as remixed by 46bliss. The original track of Jackson's "Silent Night" on Columbia Records became one of the best-selling singles in the history of Norway. Holiday Music to Download Legally for Free! 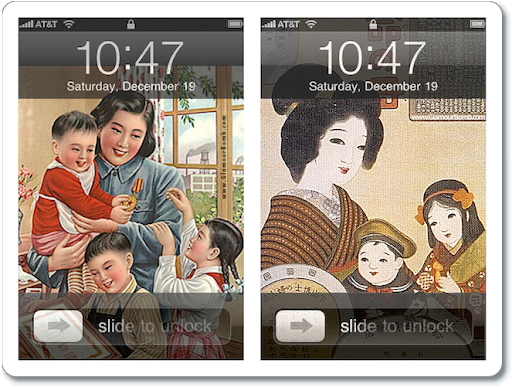 It looks like I may have a theme going for Monday's blog posts: wallpapers for your iPhone and iPod Touch! So I'm going to continue on the theme for Mother's Day which is coming up next Sunday.This week I'm featuring some imagery of from a very classic rendition of motherhood as she sits in a rocking chair beholds her child. But I couldn't resist pulling this vintage ad to just add some snark. 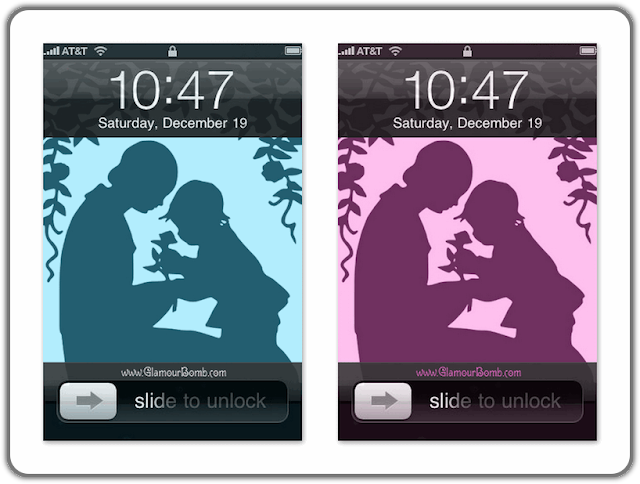 Due to the fantastic response to last week's listing of my free Mother's Day wallpapers for your iPhone and iPod Touch I'm offering a couple of more! Mother's Day is coming up on Monday, May 9th. In celebration of Mother's Day coming up in a few weeks (Sunday, May 9 to be exact) I want to share with you some digi-freebies in the form of wallpapers for your iPhone and iPod Touch. You can download the images as well as installation instructions by clicking on this link or on the image above. Many of my new readers have been enjoying my series of the modified 3 column Minima template I coded and am giving away under a CC 3.0. It's basically just your normal 2 column minima with an extra side column. There's one that's just perfect for free backgrounds by such fabulous designers as 1stFloorFlat, Itkupilli's Cute'n'Cool, the Background Fairy and more. I call that model the "Skinny" because it's a slender one that fits the design specifications of most free backgrounds. But I also developed templates with extra elbow room and I call them "Standard" and "Wide". Think of them as ectomorphic, endomorphic and mesomorphic templates respectively. FREEBIES: Aviary - Creation On The Fly! As many of you who have been with me since these past few months, I've been learning how to customize and design my blog. On Halloween I passed forward a Hawaiiana blogger theme I worked on that was based on a template designed by OurBlogTemplates.I got so much aloha it was wonderful! So now, just in time for the holidays, I've reconfigured the same template with a Christmas/Hawaiiana theme. Freebie! A Modified 3-column Minima Blogger template for Background Fairy & Graphics Fairy fans!